Hello! Sometimes so many things happen… OK, no more excuses. It’s high time for a sum up of the last few PRUG meetups. After two great events in January and February, we’re waiting for the next one (coming today!). But first things first - what happened in January? Two speakers, a lot of discussions and beer. That’s what developers like the most. 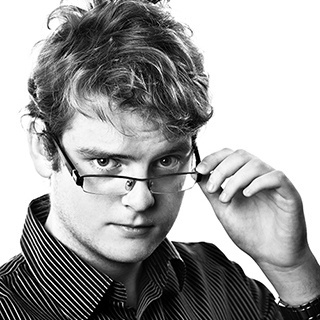 Our first speaker was a high-five specialist from Warsaw - Piotr Misiurek. In his talk we could find all the benefits of keeping things small in your code. Continuous code refactoring and extracting smaller bits from bigger parts of your application logic is always a profit. Keeping an easy-to-read and comprehensible code in your project is the best thing you can leave behind for other devs. During the second presentation our best lies hunter - Marcin Stecki - showed us how much we’ve been tricked. 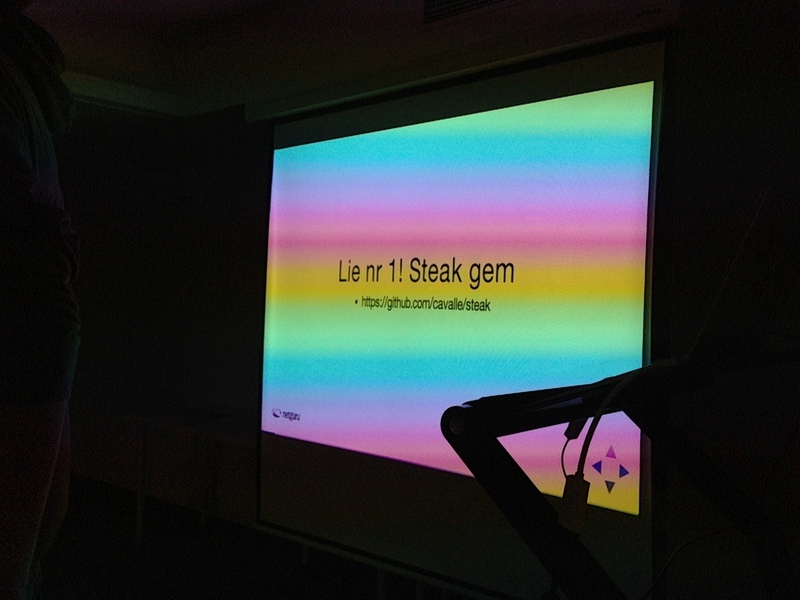 The first example was about Steak gem - “The delicious combination of RSpec and Capybara for Acceptance BDD”. Two new aliases and small DSL improvement and that’s all?! Yup, that’s it - the most cunning way of selling your own idea I’ve ever seen! The lie number 2? Patterns for fixing your code mess. Service Objects, Decorators, Form Objects and so on - all this stuff comes down to the main Object Oriented Design rule - Single Responsibility Principle! Another lie that helps in selling ideas? Seems so. We’ve started with Piotr, who asked us to stand up (not literally of course). The “Please stand up” talk was a set of reflections on the guy starting his speaker career. If there were any people wondering whether they should try their hands at public performing, Piotr certainly blew their doubts. It was another great presentation given by our Warsaw friend - and what more - second in a row! Can you do better than this? After some soft skills knowledge, we’ve started waiting for an inevitable meteor strike! Our habitue - Marek Piasecki - introduced us to the MeteorJS framework world. Yet another JS framework? Probably Not really ;) All hot concepts inside, DOM data bindings, built-in solution for WebSockets events handling - in a nutshell, all you need to start building your shiny web application. And hey, I really enjoyed the discussion after this talk - thanks guys, you’re awesome. Finally, we’ve started a lightning talks session. Bartek Pranczke came up first and showed us that real-time multimedia processing in Ruby is possible. Sketch animation synchronized with sounds of electronic music was a blast of freshness (and initiated small workshops!). Next lightning was presented by our debutant - Jacek Tomaszewski told us about his experience with WebSockets, building RoR app and his few concerns (yes, PRUG is a good place to get some feedback). Last but not least was Krzysztof Jabłoński, who presented a brief look at new text editor from Github - Atom. This hackable tool, built with web technologies allows you to build and customize your perfect working environment. What’s more - we’re getting ready for the next event (it's today!). P.S. lightning talks are more than welcome!